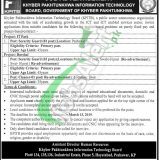 Get KP IT Board Jobs 2019 | Careers – Khyber Pakhtunkhwa Information Technology Board NTS Application Form Download Online at this page of our site. Khyber Pakhtunkhwa Information Technology Board (KPITB) is a public sector autonomous organization entrusted with the task of accelerating growth in the ICT and ICT enabled services sector. The KPTIB Invites applications from suitable candidates for the following positions in which some posts are on a contractual basis and some are project-based such as (Security Guard and Cleaner). Candidates from all over KPK Province are welcome to apply but there are some requirements which are compulsory to be fulfilled and if we talk about eligibility criteria then vacant positions are for Primary pass candidates having relevant experience as per the demand of vacant positions. So, only eligible candidates meeting criteria should apply as per the following how to apply procedure given below. Individuals may send attested copies of required educational documents, domicile and CNIC through postal address given below. Applications submitted by hand will not be accepted. The last date for submission of application is March 13, 2019. Last Date to Apply: March 13, 2019. 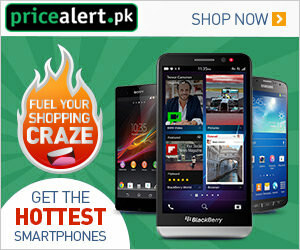 Address: Khyber Pakhtunkhwa Information Technology Board Plot # 134, 135, 136 Industrial Estate, Phase 5, Hayatabad, Peshawar, KP.